Columbia.edu Graduate School of Business offers specialization in business. The university was founded in 1754 is located in the Morningside Heights neighborhood of the Borough of Manhattan, in New York City. Beginning with a schoolhouse it has grown into two big campuses, namely Morningside Heights Campus and the other one in Washington Heights. Columbia University is the oldest institution of higher education in New York State and sixth oldest in the country. 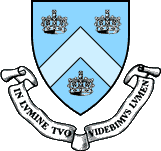 The university was originally known as King’s College when it was founded, and was renamed to Columbia College in 1784 and in 1896 it got its present name. Currently Columbia has twenty schools and affiliated institutions offering undergraduate, graduate and post graduate programs. The university has impressive campus of 36 acres in Morningside Heights, 26 acres in Baker Field athletic complex, 20 acres in Medical Center and 157 acres in Lamont-Doherty Earth Observatory. Columbia University has a never ending list of notable alumni. Till the end of last year the university had 76 Nobel Laureates who are associated with the university and 39 Nobel Laureates actually belong to the alumni of Columbia University. It also gave 3 presidents to America, 7 presidents to other countries, many notable politicians, entrepreneurs, journalists, scientists, engineers, astronauts, academicians and sports personalities. The university has a great reputation thanks to its excellent programs. According to the 2007 rankings released by U.S. News the university is ranked joint 9th in the country for undergraduate programs along with University of Chicago and Dartmouth College. Middle/Near Eastern & Semitic Lang. & Lit. If the students want to live on campus, the college has a well built campus hall which can easily accommodate 4,773 students providing meal service with a choice of 19 meals per week. Types of residences include Sorority houses, Coed residence halls and Fraternity houses. Number of registered organizations is 300; Number of social fraternities is 19, Number of social sororities’ is 9 and there are 2 honor societies. The university has innumerable campus activities which include Academic Clubs, Television Station, Theatre/Drama, Choir, Concert Band, Newspaper, Orchestra, Religious, Sports/Intramurals, Gay and Lesbian, International, Political Activist, Honors/Academic:, Jazz Band, Minority Cultural, Student Government, Marching Band, Phi Beta Kappa, Pre-Medical, Minority Student, Pre-Law, Radio Station, Environmental, Literary Magazine and Yearbook. The Columbia University Press was established in 1893, the fourth oldest university press in the country. One of the commendable achievements of the press is the publication of the Columbia Encyclopedia in the year 1935 and various other publications written by greats like Julia Kristeva, Edward Said, John Rawls, Theodore Adorno, and Gilles Deleuze. James D. Jordan is the Director of the Press. The press publishes approximately 150 books every year in the areas of history, religion, philosophy etc. The university website truly reflects what the university stands for. It provides all the information one is looking for when visiting a university website. The homepage is reliable and easy to browse. With the use of pleasing colors and design it makes it easy for visitors to navigate through the site. The organization of various types of information is really good like if a visitor clocks on the ‘Prospective Students’ link it opens a page which gives complete information about undergraduate, graduate and professional programs offered at the university. If the students are looking for a particular book, the library link takes the student to a page where in they can search the book by title or author or keyword or journal or subject. The homepage also has a research tab which provides information about research activities going on in various departments. The homepage also has links to medical center, calendar, faculty, alumni and email for students and faculty. The homepage has news related articles on the right side of the page. The website has an Alexa traffic rank of 2,352 as of November 2008.